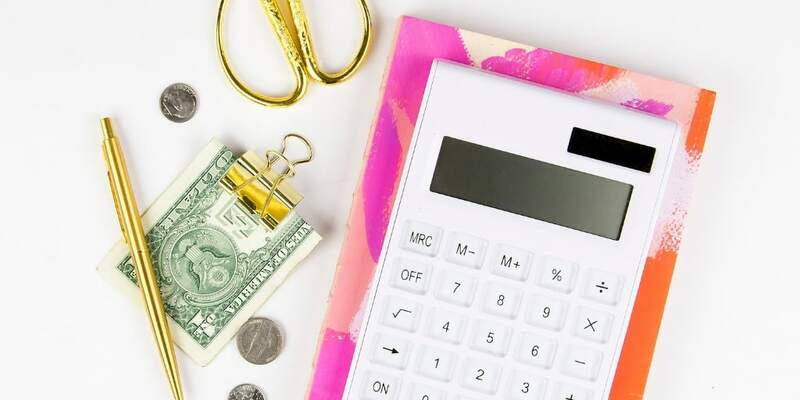 Debt Free Lifestyle: the three money mindset shifts you need to make in order to remain debt free. We've been non-mortgage, debt-free since September 1, 2010. That sentence ended in a period, but really it's supposed to be an “epic” period that drops in like a 20-lb. Yellow Pages on your doorstep. That's because, being debt free is awesome. Honestly, it's every bit as awesome as you think it would be. And after becoming so, we vowed to do everything we possibly could to stay out of debt forevermore. We were so committed to that, I almost feel like it should've been included in our marriage vows. We've been tested many times along the way, but have successfully continued on the non-mortgage, debt-freedom plan for almost 7 years now. But it hasn't been entirely easy to do. It's caused us to change our behaviors, and wage psychological-warfare (okay, maybe a slight exaggeration) on some “generally accepted” money beliefs. And you know what? People don't really talk about this side of the debt-free equation. The one where their newly made vows are tested, and they have to change their money habits and beliefs to really stay rooted. So today I'm telling you − from a woman on the other side of debt for 7 years now − what it really takes to keep lapping the debt-free waters. Psst: this is not an ungrateful post. You definitely want to be in debt-free world, and I feel very blessed to be here. I just want to give others the heads up on what it takes, once you get there, to remain there, from both a mental and physical perspective. My biggest, biggest debt free living tip for you is to hold steady to your debt free vows. You are going to be tested; you are going to be given opportunities to go back into debt, or you're going to be handed sh*t sandwiches, and think that you can just go back into debt and pay it off quickly. I urge you to not do so. In fact, that's what this entire post is about. 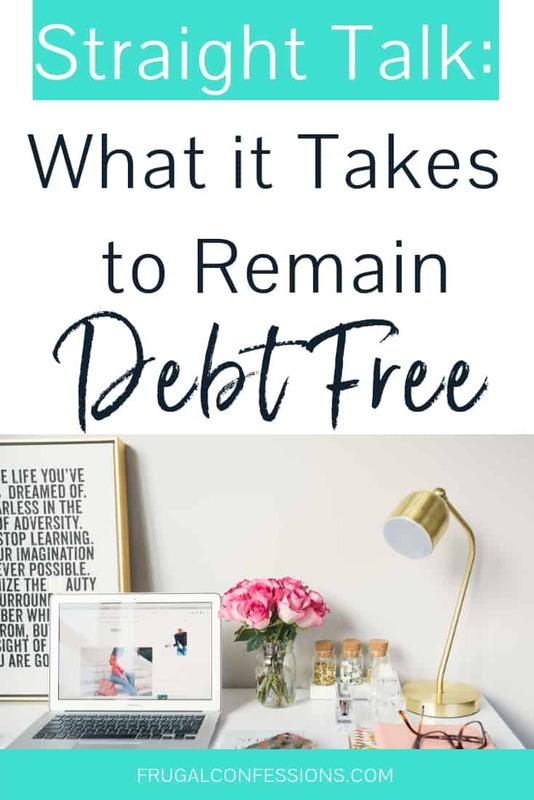 So, let's look at what it takes to remain debt free once you get over to this side. Oooohhhh this one is a hard one for me. Yes, I know I'm supposed to be grateful and all that jazz. And I AM, believe me. However, I'm going to be brutally honest and say that seeing something like $7,500 being sucked from your account to pay for a new central A/C + heating unit, all at once, instead of in monthly $365 payments is psychologically tragic. It's an entirely different mentality, really. Because the smaller numbers? Well, they're much more palatable. So in a good way, it really, really makes you question what you purchase (as well as question whether or not to just go with the monthly installment plan, provided it's 0% interest for the first year…from this old blog post you can see I've been struggling with this one since 2011!). Take beater cars, for example, which I seem to have a love affair with. You can pay for one in cash for less than $5,000, which is a heck of a lot more palatable than saving up $20,000 to hand over at a dealership (see #1 above. Ouch that would hurt, plus make you question your debt-free vows). And, at least in my experience, they keep you on the road. Like my father once told me, a car's entire reason for being is to get you from Point A to Point B. Period. Yes, they'll need repairs more often than a brand new vehicle, but you're talking to a lady who has never had one car payment in her entire life. So they've done me well. 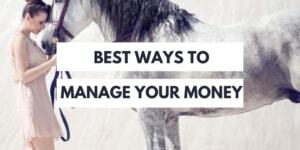 It's easy to think that once you're over that debt hump, all that extra monthly cash flow is yours for the taking. Exotic travel, anyone? New deck on the house? Upgrade to the “fancy schmancy” grocery store with all those cheeses? These things certainly come to mind after you see how much more is added back into your monthly cash flow. But if you expect to be able to pay cash for everything − or by credit card to get the reward points, then pay them off within the 30 days to avoid late fees) − then you need to be a committed saver. See points #1 and #2 above. Immediately after paying off our last debt on September 1st, 2010, our AC/Heater/Ductwork had to be replaced. The unit only worked intermittently, and it was also too small for the area in the bottom of our home. So it would just churn all day and all night, sending our electric bills to $300+ each month. Aside from this, we were told by several repairmen that our 20+ year old heater was dangerous. Could we have continued living and sweating in 85+ degrees? Sure. But the summer had zapped our energy and morale quite a bit. Because the original repair done by our home warranty company was not working, they offered to replace the unit with the same tonnage, or to cash us out. We knew that we would never get to the right temperatures in our home without upgrading the tonnage from a 2.5 to a 3.5 unit, so we decided to cash out. It was a particularly tough decision on our part as to whether or not to finance it through our credit card and do a balance transfer for 0% interest for 12 months, or to pay it all off now in one fell swoop. The reason it was such a difficult choice? Was because of our vow to not go into debt again as well as our dwindling emergency savings. After paying off all of our non-mortgage debt, we had just enough left in the bank to pay off the new unit but it would leave us with close to nothing in savings. In the end, we charged the unit to our credit card to reap the points, and we paid it off in the grace period with the rest of our savings. We banked on the fact that we were both employed, that if one of us lost our job, we could live on one income because we paid off all of our debts, and that we had a back up in our Roth IRAs should we absolutely, LAST RESORT, need some money (and I do mean last resort). I knew we made the right decision because I felt great about being out of debt and not adding another debt even after seeing our account empty. However, our number one priority became building up our emergency fund to full status. 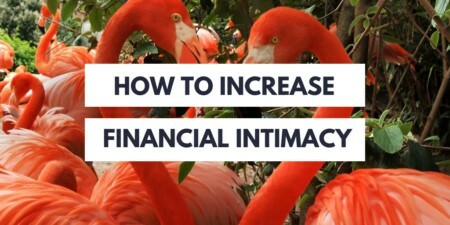 Honestly, we turned all that gazelle intensity we had used to get debt free into achieving our emergency fund goals. And we did it! In the aftermath of debt payoff, yes, you CAN and DO loosen the purse strings some. In our case, this included things like Paul getting that flat screen tv he'd wanted for several years (yes, we paid cash), or the 6-day trip to Cozumel, Mexico for our 5-year anniversary (again, in cash). I never thought about #1 but it’s a great point! I haven’t yet made a really large purchase without debt (I have used a car loan and student loans). I wonder if we’ll be able to stomach forking over the cash whenever we buy our next car! Oooohhh it’s a lot to stomach! But of course, it’s an internal conflict with a grateful heart:). Wahoo, Adriana! That’s awesome. 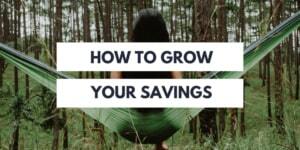 And I’m glad I’m not the only one who feels the savings-account-drain-pain.